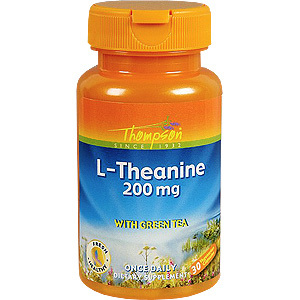 L-Theanine Maxicaps™ supplement is a great anti-stress formula intended to provide nutritive support for a feeling of relaxation. However, the advantage of this formula is that it should not cause drowsiness, like other relaxation formulas. As a dietary supplement, take one capsule every four hours as needed to help the body adjust to typical, normal anxiety. L-Theanine Maxicaps 200mg is shipped in a discrete, unmarked package. Orders are processed immediately and usually take about 3 to 5 working days to be received. We do ask that you try it for 2 to 3 weeks to feel the full effects. Any information received is used only for order processing and shipping purposes. Your information, such as e-mail address, will never be disclosed to a third party.